Study for children and youth aged 7–17 with major depressive disorder. Currently, there are many medications for adult depression but very few medications for children and young people. 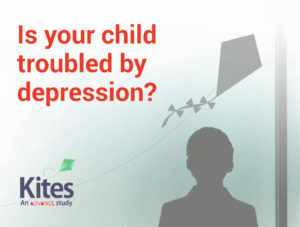 KITES, an ADVANCE study, is an international clinical research study that will evaluate the safety and efficacy of an investigational drug in treating depression in children and youth aged 7–17. If your child or teenager has been diagnosed with major depressive disorder (MDD) and is able and willing to attend 13 appointments with you or another parent/caregiver present, over a 16 week period, they may be eligible to participate. This study is being run out of the Mathison Centre for Mental Health Research and Education at the University of Calgary. You can contact the study coordinator at 1-403-210-6904 to learn more about the study. This study has been approved by the University of Calgary Conjoint Health Research Ethics Board. Ethics ID # REB16-0708 & REB16-0904.